Kool Organics began life in 2012 when Amsterdam-based Tina da Rosa and Steven Rifkin realized their dream of creating a range of innovative, wholesome, high quality foods and snacks. They began hand-crafting limited supplies of a small range of foods and snacks on an ‘on-demand’ basis. By 2014 they had outgrown their first rented kitchen and found a new premise that allowed them to complete the organic certification process. They are now focusing their efforts on the development of plant-based and dairy-free alternatives to cheese in response to the rapid and growing demand from vegans and from those who are lactose intolerant and/or living a dairy-free diet. Additionally, they are motivated by an increasing awareness of the urgent need to address critical environmental and sustainability issues, and are contributing to this global effort. In March 2018, they were proud to launch Rosie and Riffy at a vegan fair in Utrecht’s Jaarbeurs. Their journey continues to this date to keep improving taste, developing new varieties and growing in order to meet demands. Tina is a hugely creative person with a life-long passion for combining stunning flavour combinations to create imaginative, flavoursome and wholesome foods. As a talented photographer she worked with other food experts over the years to create mouth-watering images for a range of magazine articles whilst honing her own taste-busting skills. 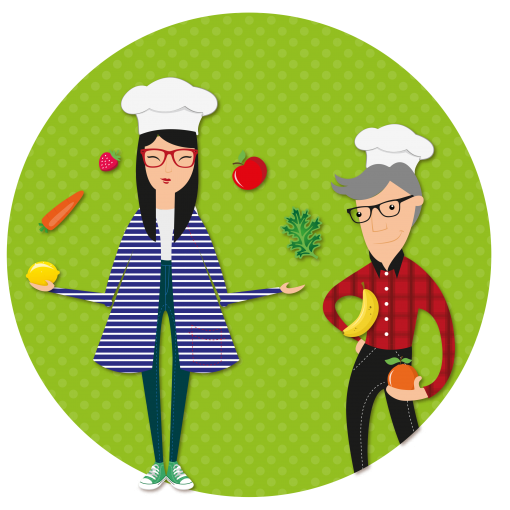 Now working on Kool Organics full time, Tina cares deeply about sharing the benefits of “free-from” foods with others and works tirelessly to bring the amazing flavours offered by Kool Organics to as many people as possible. Steven’s mother introduced him to the wonders of cooking at the age of six. Convinced that it was possible to create and produce organic, wholesome and exquisite-tasting food with a difference, Steven brings more than 25 years of professional operational experience in challenging environments to ensuring that Kool Organics continues to make high quality foods.